Many of us, while in pursuit for the perfect blinds, tend to get conflicted on whether or not to choose custom fit blinds or just purchase the standard version. This article sheds some light on the benefits of purchasing the former and we hope it will make it easier for you to make a choice. Houses have a wide range of window sizes, be it in the kitchen, bedroom, living room or even at the office. In order to purchase blinds that you will be comfortable with, it is best that you go for the custom fit option. This is based on the fact that custom fit blinds will have an exact fit on your windows, without having extra gaps or spaces. This will be a great advantage for you as you will have satisfactory results after making your purchase. Blinds come in different designs. For instance, there is the shutter type that is quite convenient for kitchen doors and windows due to the louvres. There are also the classy shades that span large windows which help in temperature regulation. Moreover, there is also the tech-savvy type which can be controlled using a remote control. All these are various types that you can choose from while purchasing custom fit blinds. A lot of these types can be found online, for instance, the Blind Guyz who offer good quality custom fit blinds as well as installation and design services. Custom-fit blinds grant you the option of selecting different types of textures and designs. This allows you to be creative and choose the type of blinds that will match the interior design of your home or office. The consultant will provide you with a range of colours, textures to choose from, and they will also offer you their advice on the best type of blinds that will blend in quite well in your room with all your other house items and designs. Selecting custom fit blinds may actually save you a couple of dollars. This may be due to a number of different reasons, for instance, you will not have to get the blinds removed after installing them due to realizing that they are not probably the perfect fit. This is often the case while purchasing blinds that are not custom made. Since you will be dealing with a professional consultant, then you will save some money as they will offer you the best advice and can help you make affordable choices. Custom made blinds are quite long-lasting and have excellent quality. 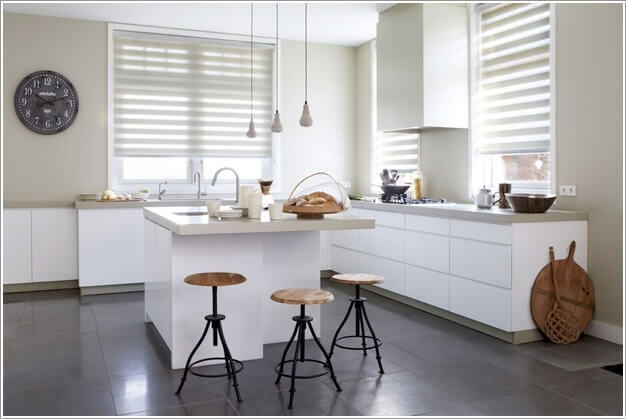 This is based on the fact that custom blinds are perfectly tailor-made to suit all your needs and conditions. The designers will thus be very careful to come up with a product that will be satisfactory to you and that will have a long-term lifespan as compared to standard blinds. Some designers also offer warranties for custom fit blinds, which will ensure that you are acquiring good quality blinds.